Horn, A., Li, N., Dembek, T. A., Kappel, A., Boulay, C., Ewert, S., et al. (2018). Lead-DBS v2: Towards a comprehensive pipeline for deep brain stimulation imaging. NeuroImage. Horn A, Kühn AA (2015). Lead-DBS: A toolbox for deep brain stimulation electrode localizations and visualizations. NeuroImage. Ewert, S., Plettig, P., Li, N., Chakravarty, M. M., Collins, D. L., Herrington, T. M., et al. (2017). Toward defining deep brain stimulation targets in MNI space: A subcortical atlas based on multimodal MRI, histology and structural connectivity. NeuroImage. Horn A, Schönecker T, Schneider G-H, Kühn AA (2013). Automatic reconstruction of DBS-Electrode Placement from post-operative MRI-images. Journal of Neural Transmission. Andreas Horn, Dirk Ostwald, Marco Reisert, and Felix Blankenburg (2013). The structural-functional connectome and the default mode network of the human brain. NeuroImage. Horn, A., & Blankenburg, F. (2016). Toward a standardized structural-functional group connectome in MNI space. NeuroImage, 124(Pt A), 310–322. Juan Carlos Baldermann, M. D., Corina Melzer, M. S., Alexandra Zapf, M. S., Sina Kohl, P. D., Lars Timmermann, P., Marc Tittgemeyer, P. D., et al. (2019). Connectivity profile predictive of effective deep brain stimulation in obsessive compulsive disorder. Bps, 1–35. 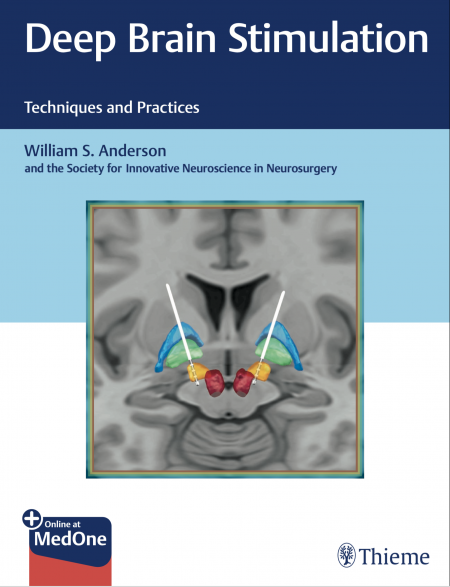 Horn A (2019), The impact of modern-day neuroimaging on the field of deep brain stimulation. Current Opinion Neurology. Kroneberg, D., S. Ewert, A. C. Meyer, and A. A. Kuhn. 2019. 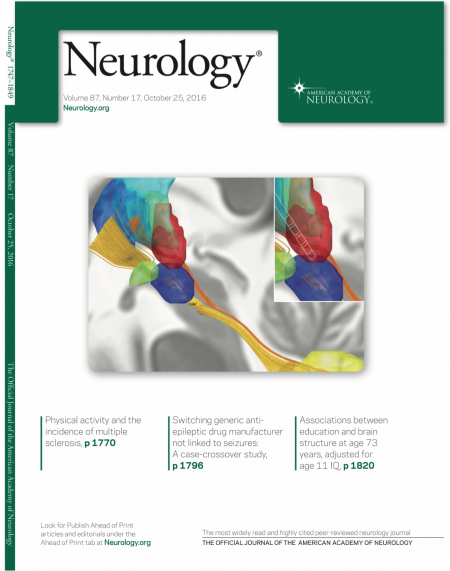 ‘Shorter pulse width reduces gait disturbances following deep brain stimulation for essential tremor’, J Neurol Neurosurg Psychiatry. Huys, D., S. Kohl, J. C. Baldermann, L. Timmermann, V. Sturm, V. Visser-Vandewalle, and J. Kuhn. 2019. 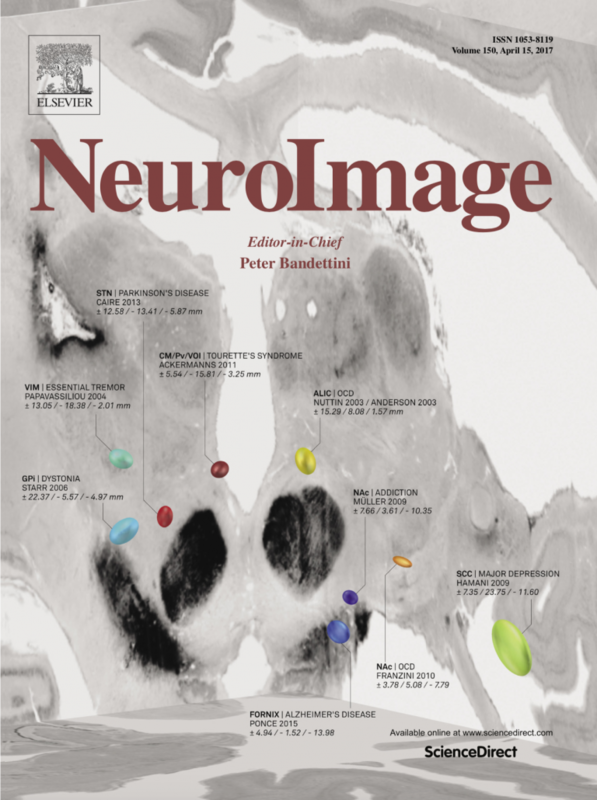 ‘Open-label trial of anterior limb of internal capsule-nucleus accumbens deep brain stimulation for obsessive-compulsive disorder: insights gained’, J Neurol Neurosurg Psychiatry. Huebl, J., A. Poshtiban, C. Brucke, S. Siegert, A. Bock, H. Koziara, T. Kmiec, R. Rola, T. Mandat, and A. A. Kuhn. 2019. 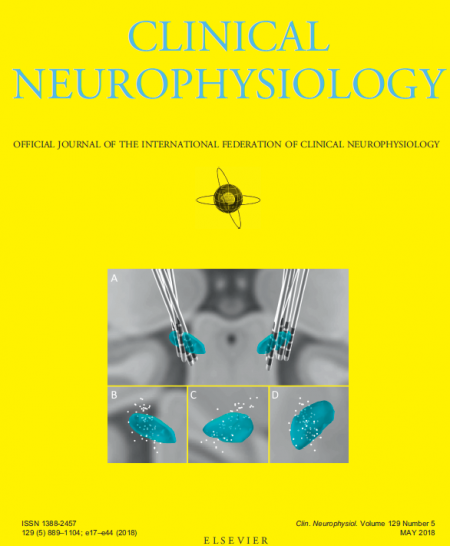 ‘Subthalamic and pallidal oscillatory activity in patients with Neurodegeneration with Brain Iron Accumulation type I (NBIA-I)’, Clin Neurophysiol, 130: 469-73. Hancu, I., Boutet, A., Fiveland, E., Ranjan, M., Prusik, J., Dimarzio, M., et al. (2018). On the (Non‐)equivalency of monopolar and bipolar settings for deep brain stimulation fMRI studies of Parkinson’s disease patients. Journal of Magnetic Resonance Imaging : JMRI, 9(16), 219. Avecillas Chasin, J. M., Poologaindran, A., Morrison, M. D., Rammage, L. A., & Honey, C. R. (2019). Unilateral Thalamic Deep Brain Stimulation for Voice Tremor. Stereotactic and Functional Neurosurgery, 1–8. Chunhui Yang, Yiqing Qiu, Xi Wu, Jiali Wang, Yina Wu, and Xiaowu Hu, “Analysis of Contact Position for Subthalamic Nucleus Deep Brain Stimulation-Induced Hyperhidrosis,” Parkinson’s Disease, vol. 2019, Article ID 8180123, 6 pages, 2019. Horn, A., Wenzel, G., Irmen, F., Huebl, J., Li, N., Neumann, W.-J., et al. (2019). Modulating the human functional connectome using deep brain stimulation. bioRxiv, 537712. Liu, F. T., L. Q. Lang, R. Y. Zhou, R. Feng, J. Hu, J. Wang, and J. J. Wu. 2019. ‘Urinary incontinence following deep brain stimulation of the globus pallidus internus: case report’, J Neurosurg: 1-3. Neumann, W.-J., Schroll, H., de Almeida Marcelino, A. L., Horn, A., Ewert, S., Irmen, F., et al. (2018). Functional segregation of basal ganglia pathways in Parkinson’s disease. Brain, 12(Pt 1), 366. Joutsa, J., Horn, A., Hsu, J., & Fox, M. D. (2018). 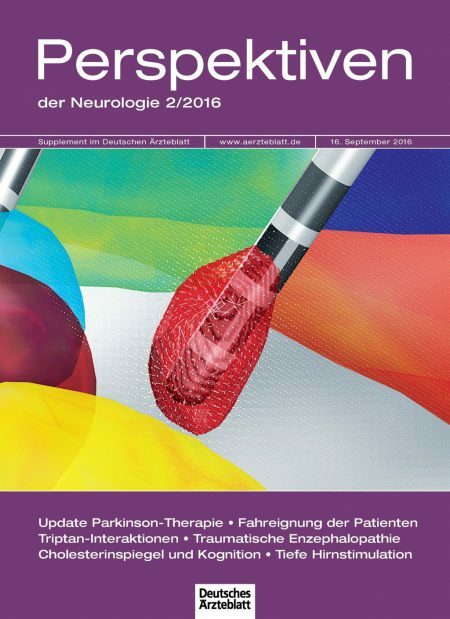 Localizing parkinsonism based on focal brain lesions. Brain : a Journal of Neurology, 141(8), 2445–2456. Hell, F., Taylor, P. C. J., Mehrkens, J. H., & Bötzel, K. (2018). Subthalamic stimulation, oscillatory activity and connectivity reveal functional role of STN and network mechanisms during decision making under conflict. NeuroImage. Schroll, H., Horn, A., Runge, J., Lipp, A., Schneider, G.-H., Krauss, J. K., et al. (2018). Reinforcement magnitudes modulate subthalamic beta band activity in patients with Parkinson’s disease. Scientific Reports, 8(1), 8621. Irmen, F., Horn, A., Meder, D., Neumann, W.-J., Plettig, P., Schneider, G.-H., et al. (2018). Sensorimotor subthalamic stimulation restores risk-reward trade-off in Parkinson’s disease. Movement Disorders, 368(Suppl C), 610–11. Lofredi, R., Neumann, W.-J., Brücke, C., Huebl, J., Krauss, J. K., Schneider, G.-H., & Kühn, A. A. (2018). Pallidal beta bursts in Parkinson’s disease and dystonia. Movement Disorders, 126(12), 2597. Darrin J Lee, M. P., Robert F Dallapiazza, M. P., Philippe De Vloo, M. P., Gavin J B Elias, B. A., Anton Fomenko, M. D., Alexandre Boutet, M. D., et al. (2018). Inferior thalamic peduncle deep brain stimulation for treatment-refractory obsessive-compulsive disorder: a phase 1 pilot trial. Brain Stimulation, 1–40. Martínez-Fernández, R., Kibleur, A., Chabardes, S., Fraix, V., Castrioto, A., Lhommée, E., et al. (2018). Different effects of levodopa and subthalamic stimulation on emotional conflict in Parkinson’s disease. Human Brain Mapping, 35(1), 5083–14. Nowacki, A., Nguyen, T. A.-K., Tinkhauser, G., Petermann, K., Debove, I., Wiest, R., & Pollo, C. (2018). Accuracy of different three-dimensional subcortical human brain atlases for DBS -lead localisation. NeuroImage. Clinical, 20, 868–874. Middlebrooks, E. H., Tuna, I. S., Almeida, L., Grewal, S. S., Wong, J., Heckman, M. G., et al. (2018). Structural connectivity–based segmentation of the thalamus and prediction of tremor improvement following thalamic deep brain stimulation of the ventral intermediate nucleus. NeuroImage. Clinical. Hell, F., Plate, A., Mehrkens, J. H., & Bötzel, K. (2018). Subthalamic oscillatory activity and connectivity during gait in Parkinson’s disease. NeuroImage. Clinical, 19, 396–405. Yao, C., Horn, A., Li, N.-F., Lu, Y., Fu, Z.-H., Wang, N., et al. (2018). Post-operative electrode location and clinical efficacy of subthalamic nucleus deep brain stimulation in Meige syndrome. Parkinsonism & Related Disorders. Franco, R. R., Fonoff, E. T., Alvarenga, P. G., Alho, E. J. L., Lopes, A. C., Hoexter, M. Q., et al. (2018). Assessment of Safety and Outcome of Lateral Hypothalamic Deep Brain Stimulation for Obesity in a Small Series of Patients With Prader-Willi Syndrome.JAMA Network Open, 1(7), e185275–e185275. Lizarraga, K. J., Naghibzadeh, M., Boutet, A., Elias, G. J. B., & Fasano, A. (2018). Management of Pisa syndrome with lateralized subthalamic stimulation. Journal of Neurology, 265(10), 2442–2444. Lin, H., Cai, X.-D., Zhang, D.-D., Liu, J.-L., & Li, W.-P. (2018). Both DBS and Thalamotomy in a 13-year-old Patient with Primary Dystonia: A Case Report. World Neurosurgery. Middlebrooks, E. H., Grewal, S. S., Stead, M., Lundstrom, B. N., Worrell, G. A., & Van Gompel, J. J. (2018). 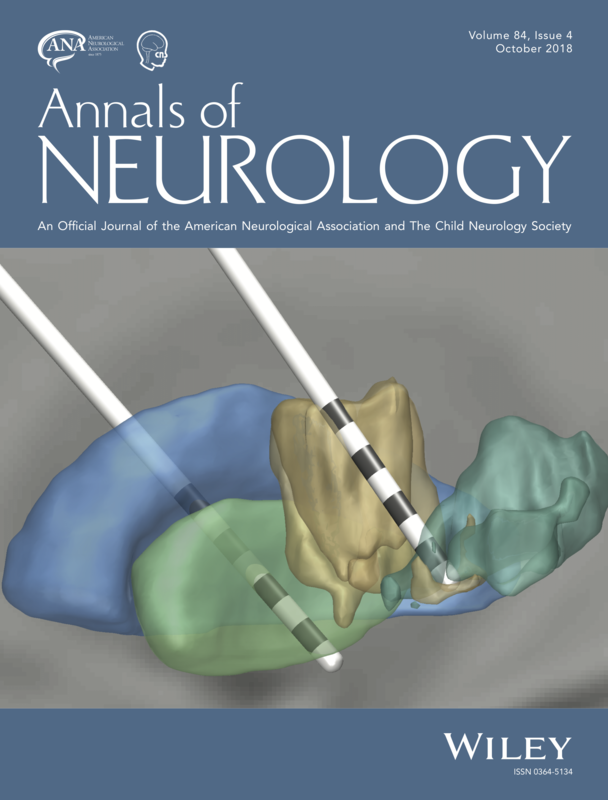 Differences in functional connectivity profiles as a predictor of response to anterior thalamic nucleus deep brain stimulation for epilepsy: a hypothesis for the mechanism of action and a potential biomarker for outcomes. Neurosurgical Focus, 45(2), E7. Grewal, S. S., Middlebrooks, E. H., Kaufmann, T. J., Stead, M., Lundstrom, B. N., Worrell, G. A., et al. (2018). 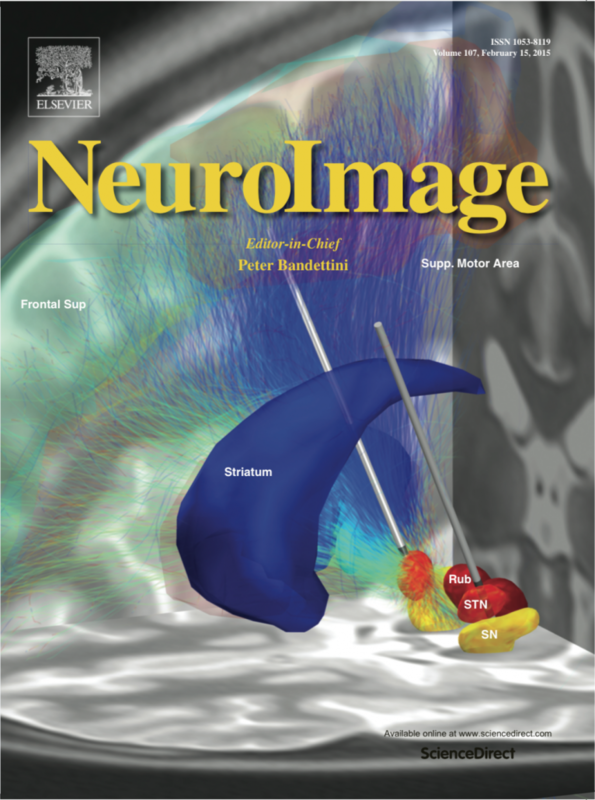 Fast gray matter acquisition T1 inversion recovery MRI to delineate the mammillothalamic tract for preoperative direct targeting of the anterior nucleus of the thalamus for deep brain stimulation in epilepsy. Neurosurgical Focus, 45(2), E6. Middlebrooks, E. H., Tuna, I. S., Grewal, S. S., Almeida, L., Heckman, M. G., Lesser, E. R., et al. (2018). Segmentation of the Globus Pallidus Internus Using Probabilistic Diffusion Tractography for Deep Brain Stimulation Targeting in Parkinson Disease. AJNR Am J Neuroradiol, 107, 64–8. Mosley, P. E., Smith, D., Coyne, T., Silburn, P., Breakspear, M., & Perry, A. (2018). The site of stimulation moderates neuropsychiatric symptoms after subthalamic deep brain stimulation for Parkinson’s disease. NeuroImage. Clinical. Mosley, P. E., Marsh, R., Perry, A., Coyne, T., & Silburn, P. (2018). Persistence of Mania After Cessation of Stimulation Following Subthalamic Deep Brain Stimulation. The Journal of Neuropsychiatry and Clinical Neurosciences, appi.neuropsych. Peisker, C., Schüller, T., Peters, J., Wagner, B., Schilbach, L., Müller, U., et al. (2018). Nucleus Accumbens Deep Brain Stimulation in Patients with Substance Use Disorders and Delay Discounting. Brain Sciences, 8(2), 21–15. Horn, A., Reich, M., Vorwerk, J., Li, N., Wenzel, G., Fang, Q., et al. (2017). Connectivity predicts deep brain stimulation outcome in Parkinson’s disease. Annals of Neurology. Accolla, E. A., Horn, A., Herrojo Ruiz, M., Neumann, W.-J., & Kühn, A. A. (2017). Reply: Oscillatory coupling of the subthalamic nucleus in obsessive compulsive disorder. Brain. Horn, A., Neumann, W.-J., Degen, K., Schneider, G.-H., & Kühn, A. A. (2017). Toward an electrophysiological “sweet spot” for deep brain stimulation in the subthalamic nucleus. Human Brain Mapping. Horn, A., Kühn, A. A., Merkl, A., Shih, L., Alterman, R., & Fox, M. (2017). Probabilistic conversion of neurosurgical DBS electrode coordinates into MNI space. NeuroImage. van Wijk, B. C. M., Pogosyan, A., Hariz, M. I., Akram, H., Foltynie, T., Limousin, P., et al. (2017). Localization of beta and high-frequency oscillations within the subthalamic nucleus region. NeuroImage. Clinical, 16, 175–183. Hohlefeld, F. U., Ewald, A., Ehlen, F., Tiedt, H. O., Horn, A., Kühn, A. A., et al. (2017). Neural correlates of lexical decisions in Parkinson’s disease revealed with multivariate extraction of cortico-subthalamic interactions. Clinical Neurophysiology. Ehlen, F., Vonberg, I., Tiedt, H. O., Horn, A., Fromm, O., Kühn, A. A., & Klostermann, F. (2017). Thalamic deep brain stimulation decelerates automatic lexical activation. Brain and Cognition. Kroneberg, D., Plettig, P., Schneider, G.-H., & Kühn, A. A. (2017). Motor Cortical Plasticity Relates to Symptom Severity and Clinical Benefit From Deep Brain Stimulation in Cervical Dystonia. Neuromodulation: Technology at the Neural Interface, 27, 1789. Accolla, E. A., Herrojo Ruiz, M., Horn, A., Schneider, G. H., Schmitz-Hubsch, T., Kühn, A. A., & Draganski, B. (2016). Brain networks modulated by subthalamic nucleus deep brain stimulation. Brain. Baldermann, J. C., Kohl, S., Visser-Vandewalle, V., Klehr, M., Huys, D., & Kuhn, J. (2016). Deep Brain Stimulation of the Ventral Capsule/Ventral Striatum Reproducibly Improves Symptoms of Body Dysmorphic Disorder. Brain Stimulation. Fischer P, Ossandón JP, Keyser J, Gulberti A, Wilming N, Hamel W, Köppen J, Buhmann C, Westphal M, Gerloff C, Moll CKE, Engel AK, König P (2016). STN-DBS Reduces Saccadic Hypometria but Not Visuospatial Bias in Parkinson’s Disease Patients. Frontiers in Behavioral Neuroscience. Horn A, Neumann WJ, Kühn AA (2016). Forschung: Tiefe Hirnstimulation – Methodische Umbrüche. Deutsches Ärzteblatt. Neumann WJ, Jha A, Bock A, Huebl J, Horn A, Schneider G-H, Sander TH, Litvak V, Kühn AA (2015) Cortico-pallidal oscillatory connectivity in patients with dystonia. Brain. Merkl A, Neumann W-J, Huebl J, Horn A, Kuhn J, Dziobek I, Schneider G-H, Bajbouj M, Kühn AA (2015) Modulation of beta band activity in the Subgenual Anterior Cingulate Cortex during emotional empathy in Treatment-Resistant Depression. Cerebral Cortex. Barow E, Neumann W-J, Brücke C, Huebl J, Horn A, Brown P, Krauss JK, Schneider G-H, Kühn AA (2014) Deep brain stimulation suppresses pallidal low frequency activity in patients with phasic dystonic movements. Brain. Ruiz MH, Hong SB, Hennig H, Altenmüller E, Kühn AA (2014) Long-range correlation properties in timing of skilled piano performance: the influence of auditory feedback and deep brain stimulation. Frontiers in Psychology. Fox MD, Buckner RL, Liu H, Chakravarty MM, Lozano AM, Pascual-Leone A (2014) Resting-state networks link invasive and noninvasive brain stimulation across diverse psychiatric and neurological diseases. PNAS. Horn, A., & Blankenburg, F. (2015). Towards a standardized structural-functional group connectome in MNI space. NeuroImage. Seo S, Mohr J, Li N, Horn A, Obermayer K (2015) Incremental Pairwise Clustering for Large Proximity Matrices. IJCNN 2015. Did we miss a publication that used LEAD-DBS scientifically?